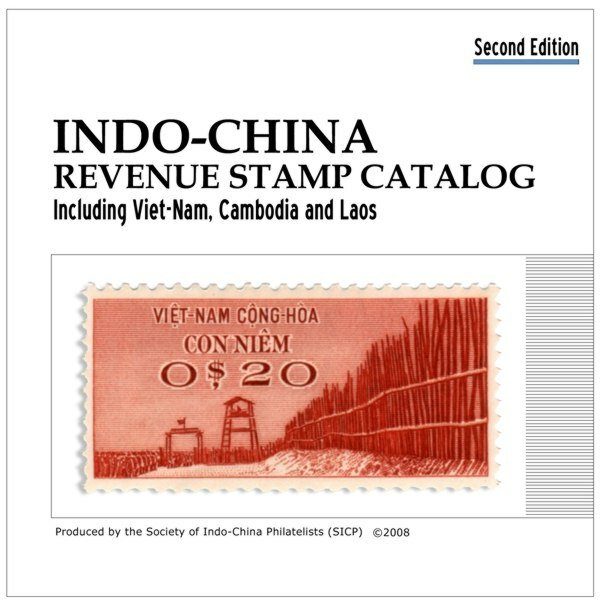 The second edition of the Society's Indo-china Revenue Stamp Catalog (2008) is available for sale on CD-ROM. 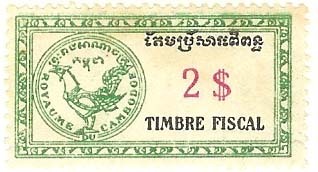 The updated catalog includes listings of Laos revenues by Kenneth Thompson; Cambodia revenues by Jack Dykhouse; Indo-china revenue stamped paper by Ron Bentley, Jack Dykhouse, and Maurice Lange and Pecule overprints by Maurice Lange. Maurice Lange also updated the Vietnam local revenues section through 1975 with many additional listings and illustrations. Nearly all stamps depicted are color scans from collections. Contact (Currently OUT OF PRINT) Ron Bentley to order your copy. The price is $20 post-paid in the US, $25 mailed to other countries.